Many people in Ireland are worried about ways to handle their cash, home, and financial affairs as they get older or if they become ill. They might be concerned over what might occur if they end up being unable to handle their own financial resources. It is a great idea to prepare ahead for a time when you might require aid handling your affairs. That is where a power of attorney can help. A power of attorney is a legal document that you sign to offer someone, or if you prefer, more than one person, the authority to handle your finances and home for you. In Ireland, the individual you select is called an "attorney" and the person agreeing to the power of attorney is referred to as the “donor” The Attorney does not have to be a solicitor or legal representative. Once the Power of Attorney Has been Set up, the attorney can act on the donor's behalf if he/she is missing, abroad or disabled through disease. It's up to you to choose exactly what the power of attorney covers. It can be a full power, without constraints, or provide minimal powers just to do a certain job, for instance to to sell a home. It is necessary to understand how a power of attorney works before setting it up. You must never ever feel forced to sign a power of attorney. Thoroughly think about all your alternatives before making any choices. 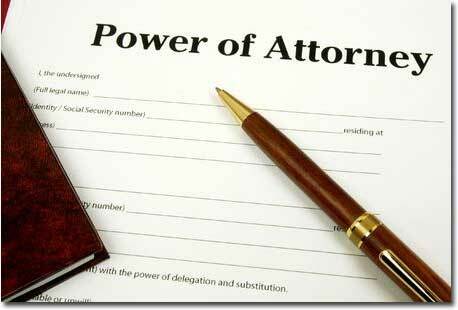 Michael Monahan Solicitors Sligo can provide legal advice, helping you set up your power of attorney. Contact us for more information. There are two types of Power of attorney. The donor loses mental capability make their own choices about their financial resources. The attorney passes away or loses mental capability. Paying any loans such as home loans. The function of an attorney includes a large amount of power and obligation so it's vital that you trust the individual you pick. Take time to think about whether there's somebody that would have the ability to perform that tasks and make decisions that will be in your own best interests Give the person you ask time to consider being your attorney, making sure that you are making the ideal choice. Your attorney might be a friend, relative, husband/wife or a civil partner. Additionally, they might be an expert, such as a solicitor. Michael Monahan Solicitors have years of experience in advising clients throughout Ireland and setting up both ordinary and enduring powers of attorney. Call us in Sligo at 071 912 9070 or contact us online for more information.